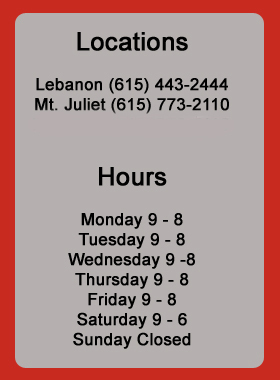 Your premiere Middle Tennessee Family Hair Salon with locations in Lebanon, Mt. Juliet, and Donelson. Heads Up Family Hair Cutting Center is your one-stop shop for all your hair care needs. With a large selection of hair care products and a trained staff of hair care specialists, you are sure to find everything you could possibly use to make sure you keep your hair looking good. Heads Up strives to provide the best in customer service. We care about you and your image enough to take the time to talk to you about your needs and make product recommendations based on your specific hair type. Check out our stylists at each of our locations. You will find highly-qualified professionals who care about your hair care needs. They will listen and give you the look you are looking for. Whether you need a hair cut, new hair style, coloring, an updo, or any number of other professional services , we will take care of you. Contact us today to make an appointment or just drop by and we will fit you in. Either way, we want you to have the best customer experience possible with every visit to our facilities.